Preheat the oven to 180°C/360°F. Cream some butter with the sugar and vanilla sugar. Gradually add the buttermilk and eggs, and beat on the highest speed. Combine flour, cocoa powder, baking powder, and salt in a separate bowl, then add to the batter and whisk on low speed until combined. Fill batter into the muffin liners and bake at 180°C/360°F for approx. 25 – 30 min. After baking, set the cupcakes aside to cool down completely. In the meantime, prepare the Oreo cookies for the buttercream. Split each cookie into its halves and scrape out the filling. Put the cookie halves into a resealable freezer bag and finely crush with a rolling pin. Beat the remaining butter, confectioner’s sugar, and Oreo cookie filling until creamy. Once combined, gently fold in the crushed cookies. Fill cream into a piping bag and pipe onto each cooled cupcake with a large star-shaped decorating tip. 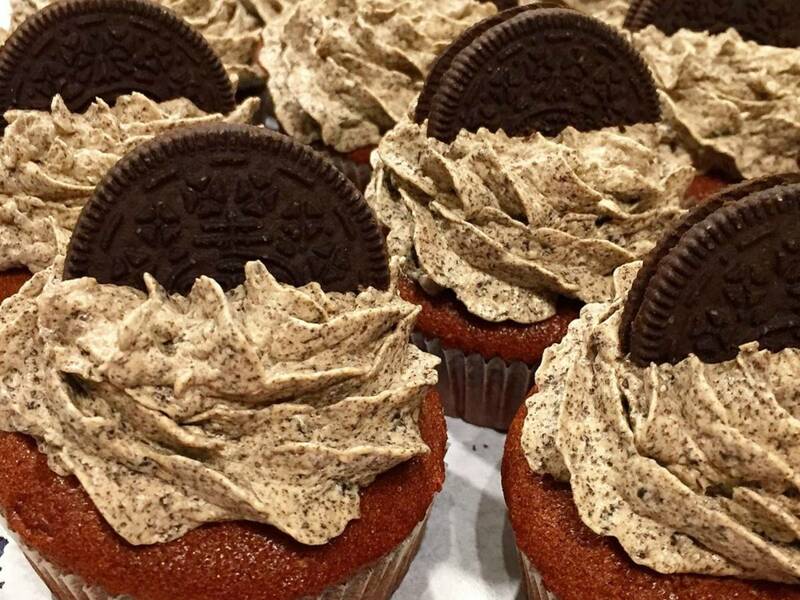 If desired, decorate each cupcake with one or half an Oreo cookie.